Did you know that English Bulldog is a breed that requires special care? It is a breed that you need to know well if you want to raise a healthy powerful dog from a young puppy. First of all, Bulldogs are very sensitive to cold and hot weather. Bring your dog inside during the summer or make sure you give him lots of shade and cool water. A Bulldog should not be left outside during the winter unless he has an insulated dog house filled with warm straw (not hay). Secondly, bathing your Bulldog will help keep him clean and smelling good. His wrinkles need special cleaning quite often. You also might enjoying hugging your Bulldog more if he is clean. Even though a Bulldog's hair is short, he will shed. Brushing him often will help keep the hair in the brush and not on the floor. Brushing also feels good to your dog and helps keep his skin healthy. English Bulldogs, because they are small (but still weight a lot! ), do not need a lot of exercise, but they do like to have fun. They enjoy being active, playing games, and participating in activities like swimming, flyball, agility, tracking, pulling and obedience. Spend lots of time with your new pup from an early age so he is comfortable with you. Roll him over, touch his feet, look at his teeth, and brush him gently. This will help him get used to being handled and he will be a better companion when he is older. English Bulldogs are peaceful and even-tempered. They are not mean or vicious and they are not aggressive. They usually don't pick fights. They are not easily disturbed or upset. English Bulldogs make great family pets, so if you will treat your pet properly, he will respond you with his love and devotion. Our company has a unique offer for you! You can be sure, your English Bulldog will like it! 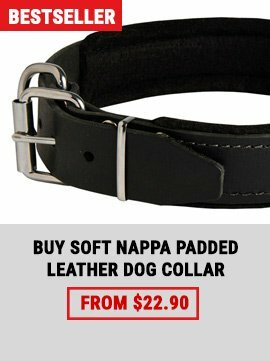 This is our Elegant All-purpose Leather Dog Collar. 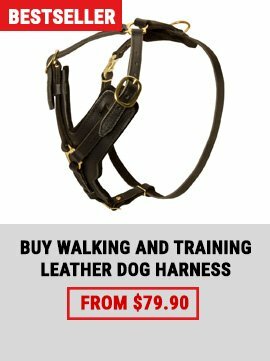 It provides walking your dog with comfort and safety. How? To find it out read the article below! 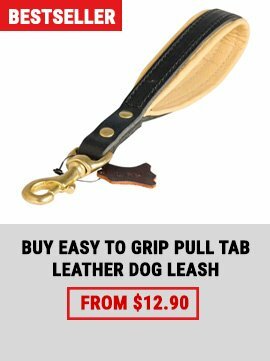 If you and your English Bulldog want to change something in daily training we have an amazing offer for you! 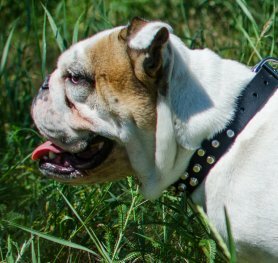 Multifunctional Nylon Harness for Daily Pulling will help your pet to stay in perfect shape and feel like a million dollars! Physical exercising will become much more fun full of comfort and safe for your pet.